Rinko Kawauchi: Halo. Aperture, 2017. Book of the Week Book of the Week: A Pick by Laura M. André Laura M. André selects Halo by Rinko Kawauchi as Book of the Week. 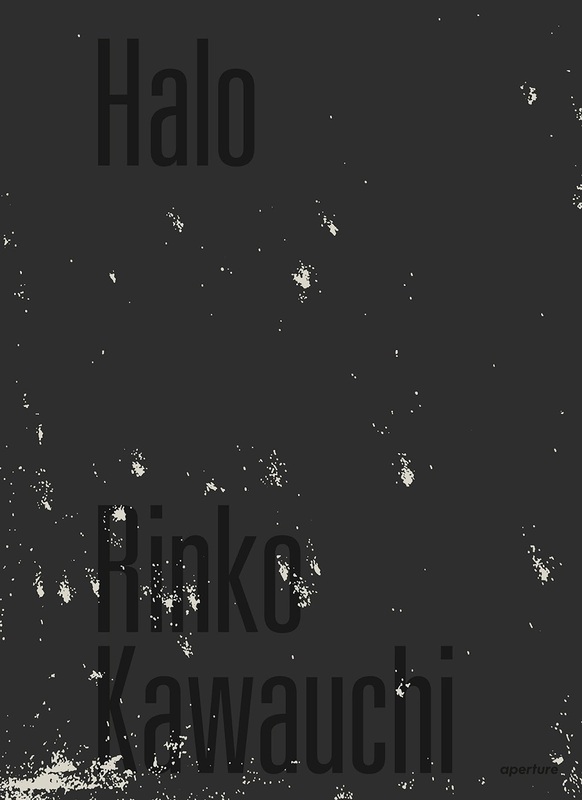 Laura M. André selects Rinko Kawauchi's Halo (Aperture, 2017) as Book of the Week. 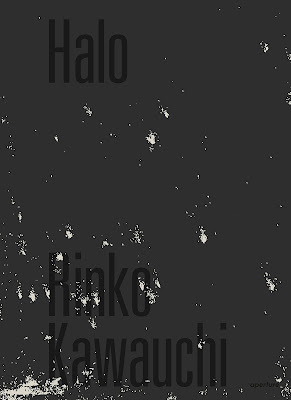 Rinko Kawauchi's latest book, Halo, presents a poetic series of images taken mostly in darkness: from the smoky blues, pinks, and grays of dusk to the inkiest nights. 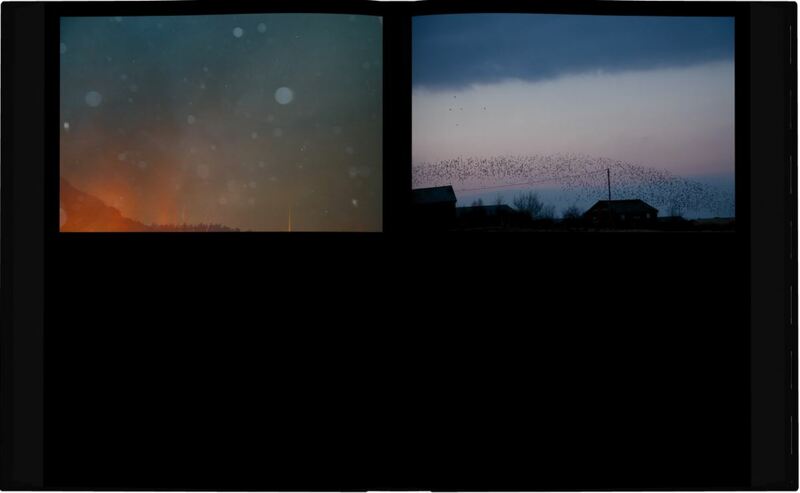 But as the title suggests, light — and her attraction to it — remains Kawauchi's favorite subject. But this is no mere formalist investigation of light. Throughout the book, which presents imagery from three different series, Kawauchi challenges readers to connect her work, which is undeniably compelling visually, to contemporary social and economic issues. 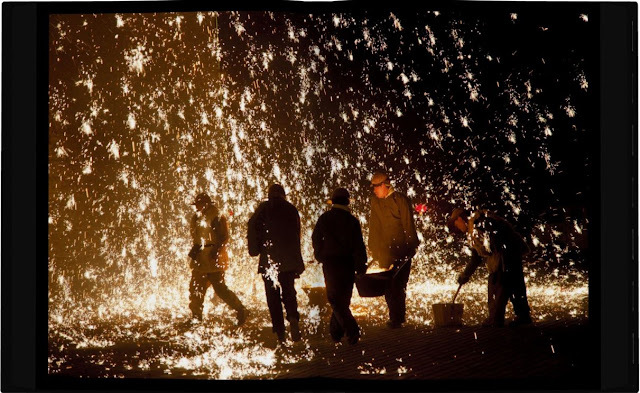 The book's most dazzling images, which inspire a cover design of holographic indentations amid a field of black, depict dazzling showers of molten iron, flung in the air as part of a centuries-old Chinese New Year's ritual in Hebei province. As Kawauchi reveals in her brief text, these "poor man's" fireworks represent both celebration and struggle: "For those who live in poverty, every day is a battle in its own way--perhaps it's only natural that this ritual reminds one of a struggle." The flocks of migratory birds that soar through the book's matte black pages thus not only perform a glorious dance in which smaller flocks join together to form an enormous swarm that appears as a single, shadowy organism; they also serve as metaphors for individuals and society. The whole is greater than the parts. Finally, Kawauchi includes a number of photographs taken in Japan's southern Izumo region, site of the country's oldest Shinto shrine, where traditional beliefs hold that the gods congregate during the tenth month of the Lunar calendar. A concurrent festival gathers worshippers on the beach to welcome the gods. During Kawauchi's visit to this festival, she photographed beach bonfires in a light rain, which echoes the rain of molten iron in other images. She clicks the shutter and "the lights strobe and refract against the raindrops, and they glitter. The thoughts of the people in prayer, invisible to the human eye, too, take form and reflect in the drops." Laura M. André earned a PhD in art history from the University of North Carolina at Chapel Hill and taught photo history at the University of New Mexico before leaving academia to work with photography books. She is the manager of photo-eye's bookstore.